← The two types of seaman clubs. . . In August 2014, I was on board a bulk carrier with twenty two Indians, and a Scot. We had loaded Iron Ore at a remote Island in Western Australia, and were under way, bound for China. I was on a night watch, and standing on the bridge wings gazing at the heavens above, when I noticed a dim spot hurtling across the sky, at a seemingly lower altitude than the rest of the stars and planets. I thought to myself “Maybe that’s the international space station?” – and thought of the people up there in desolation, away from their loved ones, missing their homes, very much in the same vein as me, being on a bulk carrier with 23 foreigners. I then thought that maybe what I’d seen was Laika in her capsule. My mind expanded, thinking of many scenarios of how she got there. I decided I’d write a song on my Ukulele about Laika. Fuelled by Oranjeboom, I put pen to paper, and with the help of my Encarta encyclopaedia I wrote the song Laika. It’s a mixture of fact, fiction, political reference, and using incorrect cities (Laika was found in Russia, not Belgrade, which was, at the time part of the soviet union- so it’s not beyond the realms of impossible) It’s written from her brothers perspective, who is on his death bed, and he is reminiscing about his sister. I hope you enjoy it, as much as I enjoyed writing and recording it. 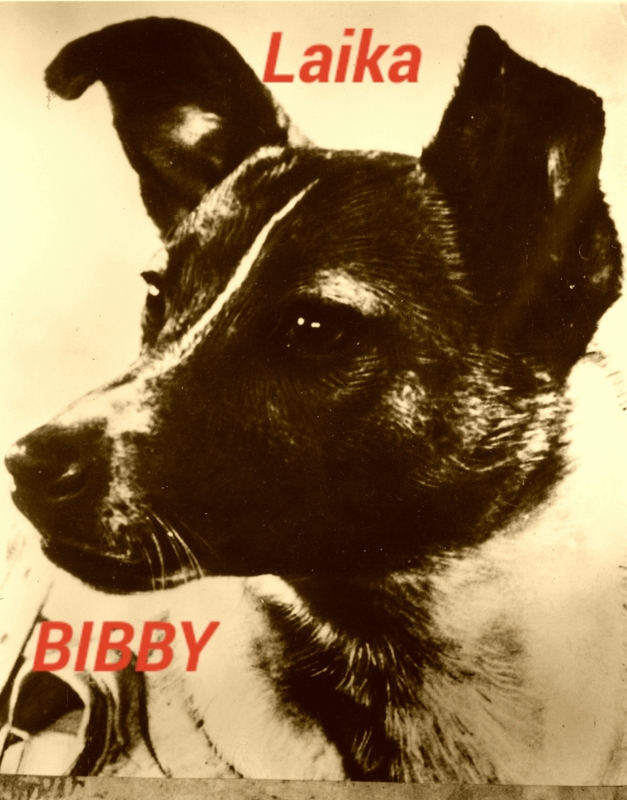 This entry was posted in Uncategorized and tagged acoustic, dan bibby, dog in space, Лайка;, laika, songwriting, ukulele. Bookmark the permalink.